Roofs face the constant onslaught of nature – barrages of rain, snow, wind, and sunlight can slowly but surely undermine even the hardiest of roofs. As imagined different materials fade and fall apart in a variety of ways. Most roofing will last a minimum of 15 years and some can last upward of 40 years. So having a roof that looks the same today and 25 years from now is the goal. Roofing can fade for a variety of reasons and if you don’t give your roof proper maintenance in Dearborn Michigan you may have roofing that fades or even worse, fails prematurely. We’ll go over some of the reasons why roofing can fade on your home and what you can do about it. As with any other roofing advice we give here at Home Pros Michigan you’ll want to ensure it’s applicable to your situation. There are many different types and materials of roofing and each can have their own nuances when it comes to maintenance and inspection. Be sure to talk with a properly licensed and certified roofing expert about your specific roof before determining it’s particular condition or any repairs that may need to be made to the roof. 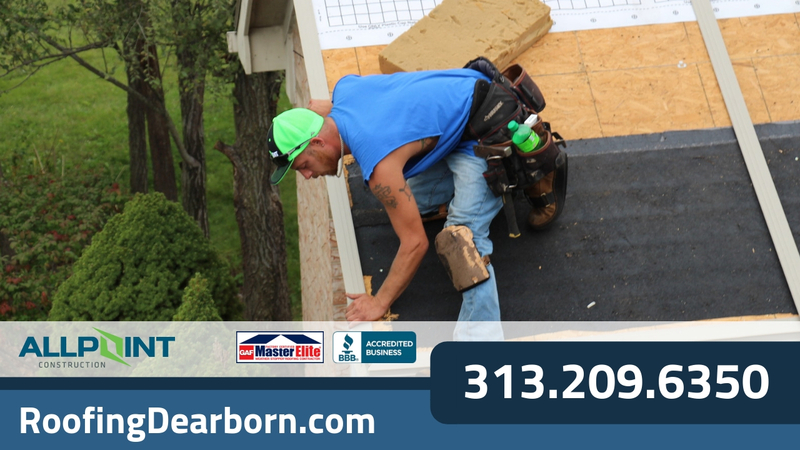 As always, you should not do any roofing work yourself and climbing on your roof is dangerous and should only be done by properly qualified roofing professionals in Dearborn Michigan. As imagined, darker shingles fade much faster than lighter ones. This is a result of the darker colors more readily absorbing the light, while lighter shingles actually bounce back some of the UV rays. 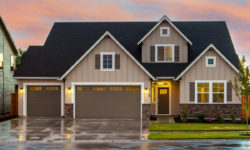 This isn’t even to touch on potential shady areas – a roof that is partially covered in the shade of a tree or another building won’t fade in those spots as much, resulting in shingles that are a variety of different colors. If you are thinking about replacing a portion of your roof tiles it’s important that you sync the colors up as close as you can. This type of roof usually lasts around 20 years or so. Unlike paint or asphalt roofing, you can expect a slate roof to transform slowly back to its original colors. For instance, if your slate is gray you can expect it to convert to a more earthy tone. When purchasing this material for the first time you will have the option of picking a variety of different weathering options – with some houses looking especially handsome with weathered slate. All in all, these roofs have some of the longest lifespans – with harder slate lasting as long as 200 years in mild conditions. Most metal roofs have a couple layers on top of them. The paint itself, which can last anywhere from 10 to 40 years, and an extra coating to protect from dirt, rust, and the elements. The primary principle when it comes to how well your metal roof will resist fading is often tied directly to the quality of paint – cheaper paints have a tendency to become chalky over a shorter time period than a higher quality variant. A metal roofs overall lifespan can vary depending on the metal – with low estimates being around 50 while others lasting over a century. Clay Tile – the Toughest Against Fading? Unlike other roofing materials which typically rely on some sort of top coat that can fade, clay tiles have colors that are intermixed into the material itself. Typically in red pigments, these tiles are highly resistant against the sun and other natural corrosive elements. While not completely impervious to fading, they are often guaranteed for as much as 50 years at times – or in other words the average lifespan of the tile itself! Of course, this type of roofing is also the notoriously most expensive to install as it takes much more time and skill than a common asphalt or metal roof. Whether it is asphalt, slate, metal, or clay, at Roofing Dearborn they can take care of all of it. 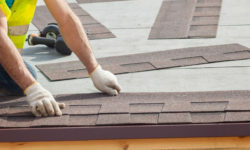 Their certified roofing professionals are highly knowledgeable in all your roofing need and will be able to point you in the right direction on whether you need just a minor repair or a total overhaul. Contact them today via our online form or give them a call at 313-209-6350.